Now that the storm has passed, please let Eclipse Roofing help with your reconstruction. Eclipse Roofing will be mobilizing and better able to help you with your roofing needs. Please call our cell at 850-533-3603, to get someone to come out and inspect your roof and siding and help get you and your home restored. At Eclipse Roofing LLC our mission is to serve the residential and commercial community by offering the most qualified, uncompromising workmanship and service in all types of roofing, gutter and siding installations. Eclipse Roofing LLC also strives everyday for great customer satisfaction as well as taking leadership in the roofing industry. We would like to welcome you to Eclipse Roofing LLC. We are a locally owned and operated business. 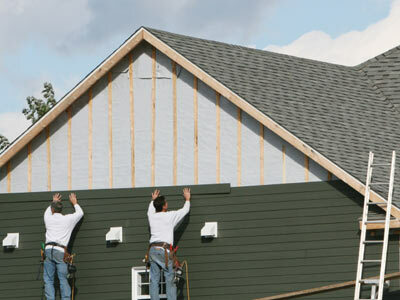 Eclipse Roofing LLC has sought to be at the forefront of our industry. This has meant for us, as a company, having to constantly adapt to never ending changes in products, as well as our customers needs in a diverse market place. Eclipse Roofing LLC. always strives to make your facility or home our number one priority. In order to manage our resources and to be able to give you our customer(s) the attention you demand and deserve, we at Eclipse Roofing LLC always place a high concern on safety and the protection of your property. We take great pride in cleanliness, professionalism, as well as safety, during all stages of your project. All Eclipse Roofing LLC salesmen and employees are trained in the product and installation by the manufacturer and well as by our company. Here at Eclipse Roofing LLC we stay on top of all new information and products that are coming to the market. We always have training certificates available to you the customer upon your request. Eclipse Roofing LLC understands that none of the mentioned values are worth anything without you, the customer(s). It is critical to us that we understand our customer(s) and their needs and expectations. The status quo was yesterday. Eclipse Roofing and Gutters is today and the future. No peak is too high, no job too large-or small! Let Eclipse Roofing be your solution for new constriction, reroofing or storm and water damage repairs! Are you ready to freshen up the exterior of your house or repair storm damage? Give us a call to see the many possibilities we can offer using using our products or even your own! 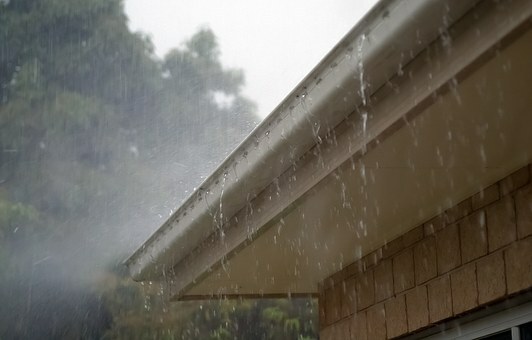 Don't wait for the next thunderstorm to clean out your gutter or get a new one installed. At Eclipse Roofing we can take care of this for you! "The man showed up on Saturday to do the repair in the rain. Great company. Great job on the repair."